By focusing on the riders who enjoyed cycling in the company of good friends, I hope this book will inspire future generations of cyclists. The book is being printed now, and will be available in November or early December 2012. For more information and additional photos, or to pre-order your copy, click here. Wow, congrats on putting together a tome of this magnitude, Jan! Its bound to be a classic. Creating a work on par to its subject is the great challenge to biographers of accomplished men. It appears you met the challenge, and for which you deserve to be well commended. Congratulations, Jan. Curious though, which weighs more the book or the ’38 trials bike? 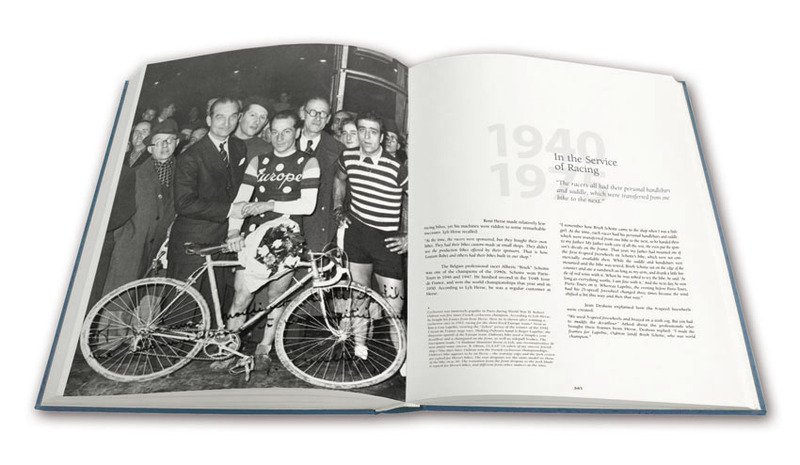 The book weighs just under 3 kg (6.5 lb), or a little under half of the Narcisse at the 1938 Technical Trials. 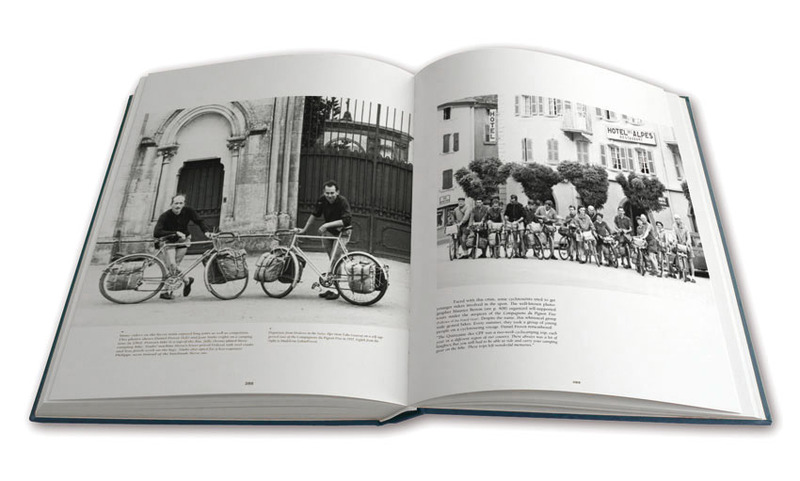 The bikes at the trials were required to carry 4 kg of weight, usually newspapers… so if we had made the book in two volumes, it neatly would have fit into a pannier each, with a year’s worth of Bicycle Quarterly to make up the last kg. However, I doubt the trials riders were able to stay awake for bed-time reading after riding their superlight bikes over 150+ kilometers of very rough mountain roads. Just went to the top of my X-Mas wish list. Hope this is the first in a series. Would love to see a similar book about Charlie Cunningham. In many ways he always struck me as being something of MTB/American version of Herse though his career doesn’t appear to have lasted nearly as long (at least not under his name). 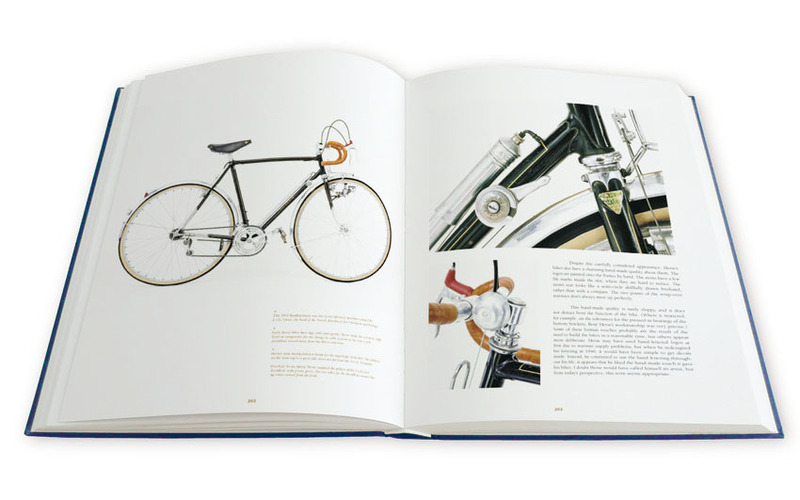 Hopefully people everywhere, but especially in France, will come to appreciate bicycling’s history better. 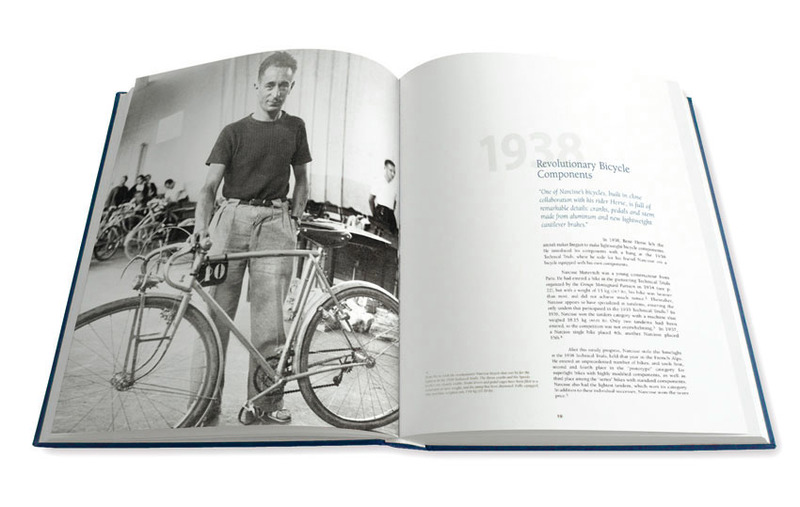 And, just as hopefully, this new book will broaden exposure of, and influence building better, mainstream bicycles. I can only imagine the thoughts and how big your eyes must have been when first viewing those photos from the suitcase. Jan, I just let my wife know what would fit perfectly into a book-sized Christmas package! I’m very much looking forward to your new title. Just pre-ordered my Limited Edition copy, THEN told my wife that I had just bought my Christmas present. Congrats, well done, and can’t wait. Me too Alex. Waiting for my Deluxe Special Edition. Now I’m going to be bugging the mailman for the next few weeks. And they haven’t even shipped yet. Poor mailman. I read the review and stopped dead when I got to the part where it said they were not collaborateurs but “just trying to make the best out of a difficult situation”. What a load of garbage, what an injustice to the few who did stand up to the Nazis. History shows Vichy was an active, eager servant of the Nazis and Gestapo, thrilled to help discover Jews and herd them into trains for transport to the death camps. The French who participated KNEW what they were doing and what would happen to these people. While the French have done an excellent job in creating the fiction that resistance was the norm, the truth is the direct opposite. If one wants a clearer picture of the French resistance read Train in Winter and excellent account of the women of the French Resistance. Don’t insult the dead by endorsing a book that lets “collaborateurs” off the hook for their complicity. I am sorry that my comments (in Bicycle Quarterly) led to a misunderstanding. I included them specifically to show that I had examined this question, rather than just glossed it over like most books do. I agree that those who collaborated with the Vichy regime deserve our scorn. There is one man in particular whom we discuss in the book, Jean Leulliot. He organized many events during and after the war, and appears to have had no qualms about working with the Germans. He was not associated with Herse directly, but we covered him in the book because Herse’s riders participated in his events. It was a difficult time, and these cyclotourists helped one another whenever they could. Cycling clubs flourished, because they became support networks. When the constructeur Narcisse, who was Jewish, left Paris during the German occupation, he said “Good-Bye” to his cyclotouring friends on the day he was leaving. Obviously, he was not afraid that they would alert the authorities. Most French did not join the Resistance, but neither did they collaborate with the Nazis. During the war, they just tried to live their lives, one day at a time. The cyclists in this story scoured the countryside for food. They met with friends and even participated in bicycle competitions. In difficult times, it is hard to keep your spirits up, and cycling helped them there, too. When the war was over, you will notice in the book how the relief is palpable, not just from people’s stories, but also from their facial expressions in the historic photos. In 1946, they seem to smile almost all the time, visibly more relaxed and at ease. I look forward to hearing your opinion about this subject once you have read the book.